What's new in CLZ Books for Android? Slightly smaller font for the book title, so that longer titles fit better. 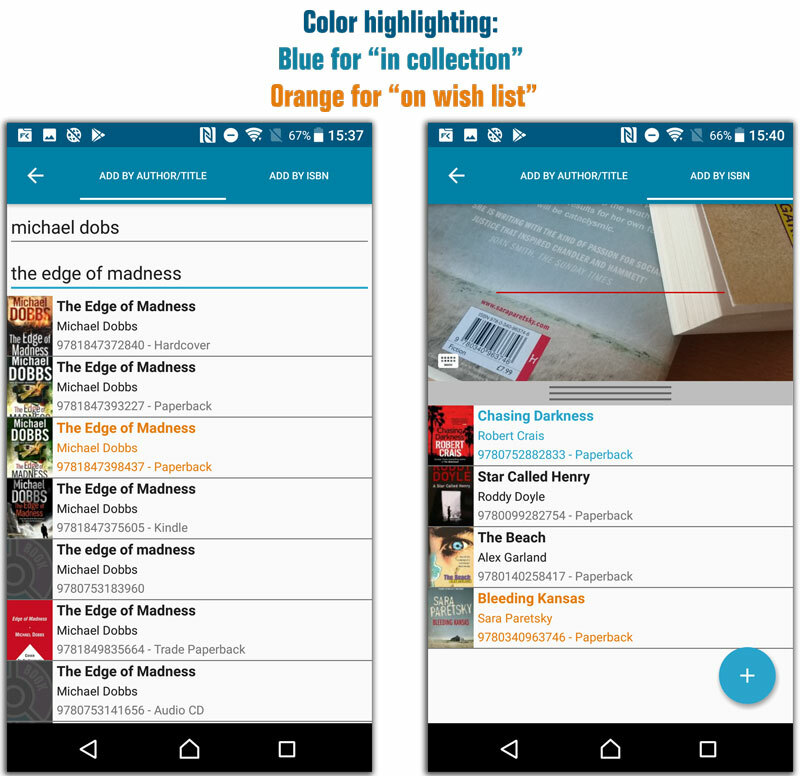 Color high-lighting: Books already ‘on wish list’ now have an orange title, books already “in collection” show up with a blue title. After changing the sort order the list could sometimes scroll to a random position. Small CLZ Cloud Sync tweaks. After restarting the app it would sometimes repeatedly scroll to the last added book. After manually typing a barcode in the add by barcode screen you weren’t able to search another one.